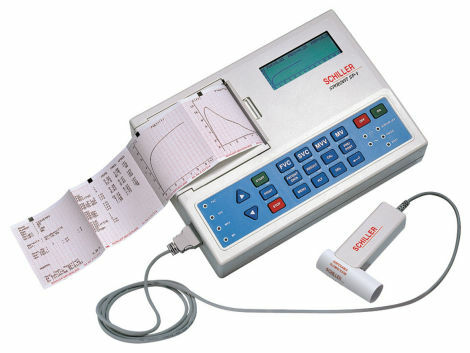 The SPIROVIT SP-1 is a unique solution to simplify complex lung function testing. The high resolution user-friendly screen displays real-time flow/volume loops and detailed measurement matrices. The data can be either printed within seconds or transmitted to a PC.